When the Hebrew Men’s Cultural Club met in 1945 to talk about starting a home for the elderly, their project began with 14 men, with $5 each. The first home opened in 1946 with 13 residents. Now home to more than 200 seniors, the Dr. Irving and Phyliss Snider Campus for Jewish Seniors includes the Louis Brier Home and Hospital, and the Weinberg Residence. With many new programs and services, the campus has formed powerful bonds with the surrounding community. 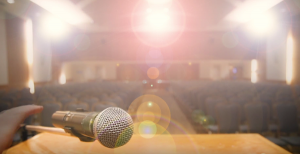 This spring sees the launch of a new fundraising campaign by the Louis Brier Jewish Aged Foundation, which provides financial support to the campus. To interview members of the foundation board and staff about the campaign, I made my visit to the Louis Brier Home with both of my children during their spring break. Benjamin, 8, and Joel, 5, are used to volunteering in a seniors home, and are quite comfortable coming to work with me. Without grandparents in the area, it was a blessing for us all to be able to visit the home. 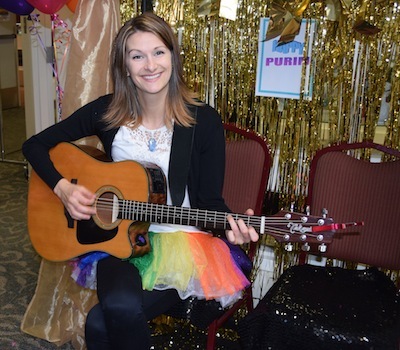 Music therapist Megan Goudreau provides holiday entertainment. Before even shaking any hands, the first thing we noticed was the art. There is art everywhere, and not mass-produced art but carefully curated, vibrant images, full of life, movement and different textures. According to foundation president Harry Lipetz, this is thanks to the organization’s art committee. Every piece is a donation. Residents also have a sense of agency, so, for example, if the seniors want to suggest changes – even to the art hanging outside their room – these changes can be made quickly. Bernard Pinsky, chair of the current fundraising campaign, can attest to the heimish (comfortable, homey) quality of the Louis Brier Home. The Louis Brier is the only Jewish home for seniors in the province. As such, it carries a certain responsibility, said Pinsky. He speaks of the community’s pride in being able to offer a life with dignity in a warm and stimulating environment to our seniors. That said, nothing prepared us for our visit at Purim, where we were greeted by staff wearing rainbow tutus, feather boas, glittery glasses and spotted mouse ears. As we stood in the entrance hall among the balloons, an elderly resident wearing googly-eye glasses strolled through with some friends waving groggers. Needless to say, this was a little different from my sons’ previous experiences of seniors facilities. 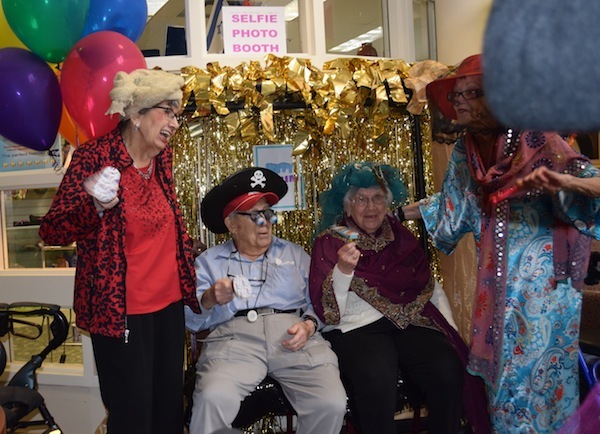 Residents get into the spirit of Purim. 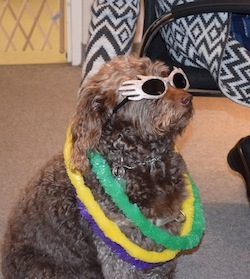 Even a friendly dog joins in the festivities. The home was a hive of activity when we visited, with youngsters volunteering, residents – and a couple of friendly dogs! – milling about. Costumed kids came by with their families and sang on both floors of the home. Nothing beats the sight of a mini race-car driver delivering a “Chag Purim!” message with a huge smile to delighted seniors. “The three things that concern residents the most – beyond housing – are food, music and companionship. The foundation provides that. It’s beyond public funding,” said Lipetz. Louis Brier residents have access to their own rabbi, Hillel Brody, spiritual leader of the Chava and Abrasha Wosk Synagogue. Located within the home, the synagogue is funded solely by the foundation. In other words, like the music, the companions and occupational therapy, it is a gift from the community. The new campaign is a quest to raise $1 million. Pledges are for two years, so a $5,000 donation would be given in two portions of $2,500 each.